This error code appears when there is a freezer sensor issue. This may have occurred due to a short circuit or wire damage within the unit. 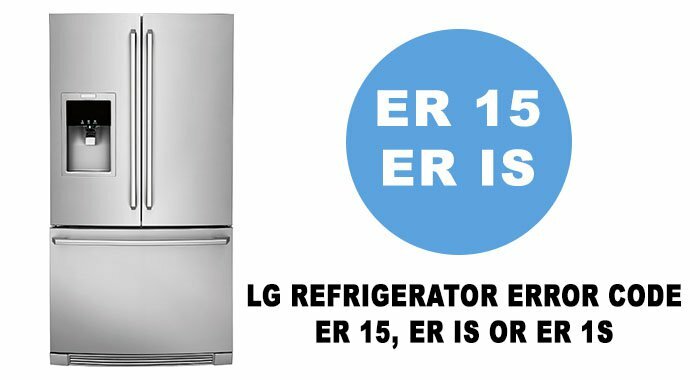 In some cases, the error can be cleared by a mere reset: unplug your fridge for about 10 minutes, then plug it back in and see if the error has appeared again. If it has, check the freezer sensor and its wiring. You may need to repair (have it repaired) or replace the unit. Disconnection in the icemaker sensor. Most likely, your refrigerator needs to be defrosted. Unplug it and wait for several hours until the ice melts. Then plug it back in and check your system. If the error is still there, contact a professional technician. This error code appears when there is an ice dispenser issue. However, in some cases it is caused by a minor program error, which can be cleared by simply resetting it. Unplug your fridge for about 30 seconds and check the LCD display. If it is still there, the defrost mode is not making 46F. You need to check the defrost mechanism. Unplug your refrigerator and take all food out of it. Remove the ice maker in the upper back wall of the compartment and unscrew the plastic guard and check the wiring. Fix the guard again and plug in the refrigerator. If the wiring is ok, this may be a defrost panel problem. Replace the unit. If necessary, call your local LG dealer and order a new defroster. This error code means that the temperature has failed to reach 40F in the defrost mode. This may be due to a fuse, heater or control board problem. Check all these parts (particularly the defrost heater, control board relay and controller assembly) and, if necessary, replace them. This error code may have resulted from leaving the door open or the door not closing properly. Also, it often occurs when a fridge is overloaded with food. Third, this can be due to a door ajar alarm failure. To clear the error, make sure there is no food preventing it from closing properly. If none of these issues is detected, reset your fridge. If the problem persists, this may be due to an alarm issue. Check the alarm system (the wiring) and replace faulty parts, if any. Refrigerators LG are innovative and modern units combining the latest technology, economical and luxurious design. LG offers a wide range of refrigerators: from single and compact to two-chamber, dimensional and french door refrigerators. 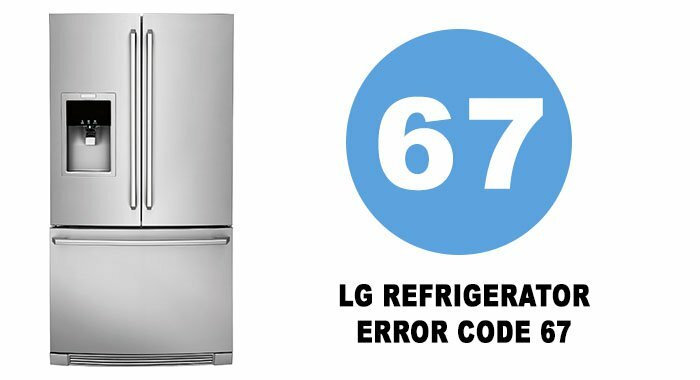 Below is a table of LG refrigerator error codes.